Excellent paper Award at the Optical Society of Korea. Jong Min Kim, a M.S. 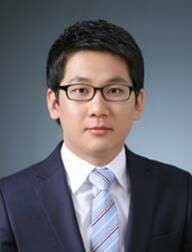 candidate (laboratory of Prof. Yeon Sik Jung) won the excellent paper Award in the winter conference from the Optical Society of Korea. The winning title was “Eliminating the Trade-Off between the Throughput and Pattern Quality of Directed Self-Assembly via Warm Solvent Annealing”.